The shelf has an integrated Transparent LCD screen followed by and additional storage space for tha packs. The stock area for the packs has automatic flaps that are only lifted when the consumer wants to purchase the product. Ways of deploying it are multiple, it can be placed as a free standing unit in the store, or it can be implemented as a hanging solution, and can be customized to client's requirements. Transparent LCD screen can be displayed separately from the shelf, which makes this product completely modular and customizable. The display is showcasing several products from the Health category. It is interactive since it gives the consumer the full insight and shows the connection between products and applications. The display is modular, as the top part can be used as a stand alone display on the shelf, or it can be positioned together with the lower stock part as a Gondola end. Our solutions make your products look even better! Extensive experience in successful production is behind this POS material manufacturer. What we offer to our clients is a full product development cycle. Starting from design sketches, value engineering, modeling and choosing the right materials to match the client’s wishes, to serial production and final delivery. Delivering custom made and high quality products, yet competitive with prices was the essence of our business since the early beginnings and continues to be. Constant investments in knowledge and technology made us competitive in all business aspects and helped us earn projects with some of the largest multinational companies and global corporations, such as Philips, Japan Tobacco International, British American Tobacco, Phillip Morris International, Samsung, Asus, Tommy Hilfiger, L’Oréal, etc. In 2014 BG Reklam built its own business facility on 3.000 m2. By continually upgrading equipment and using only materials of EU origin, adopting the principles of production such as LEAN, Kaizen, and 5S, we are achieving full efficiency that keeps pace with technology and innovations, saves money and even more importantly, shortens lead time. With an exhibition room in Vienna, the company took a step closer to the Europe’s business core. You are always invited to come and browse around the products we are particularly proud of. MVP fair in Paris 2012 even brought us a highly appreciated recognition! BG Reklam was a proud winner of the POPAI award for the product in the Tobacco category, specially designed and implemented for the Japan Tobacco International and Camel brand. Our internal R&D department is constantly working on improving our solutions. Integrating features such as consumer interactions behaviour monitoring and reporting is something our clients can benefit from. 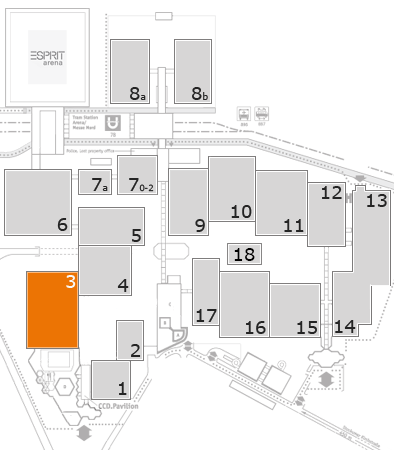 We would like to invite you to Hall 3, stand no. H45 on Euroshop 2017. Come and see some of our products and see what we can prepare specifically for you!